and most people just consider it a weed. However, it's actually an herb. as a coffee substitute or additive. the leaves can be eaten raw in salads. 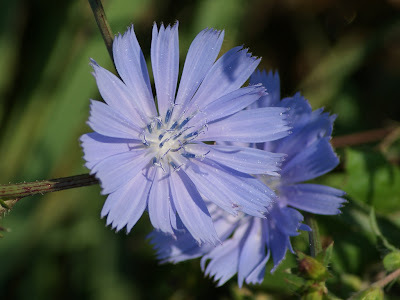 The Chicory flowers can be blue, lavender, and white. because I often see one plant with different colors of the flowers on it. I prefer walking through nature and having my breath taken away by the beauty that surrounds me and the creatures which allow me to enjoy their world. If you would like to join in the fun or view the other beautiful entries, click on the graphic at the beginning of this post or click here. Very pretty shots, all of them. I see this little flower everywhere and didn't know it's name. 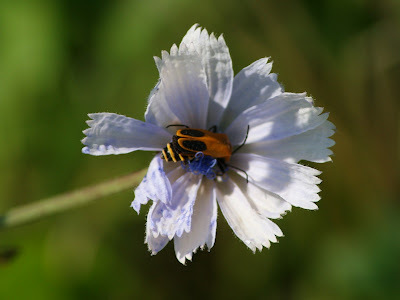 I never knew that was what a chicory plant looked like, beautiful photos. My flowers are here. Have a nice week! Those are really beautiful. The top picture looks like a painting. So sweet and delicate flowers indeed! What a pretty little flower! I think weeds are sometimes better looking than flowers that are fussed over. Have you noticed wether the colour change is due to pollination? Witloff is the salad item it is the growth bud of Chicoria grown in the dark, and quite expensive at greengrocers. Misty: A neat post of a flower that is prolific right now in NE Ohio. I didn't know it was of any use. You are so right! Great post - as always - and fabulous photos too. 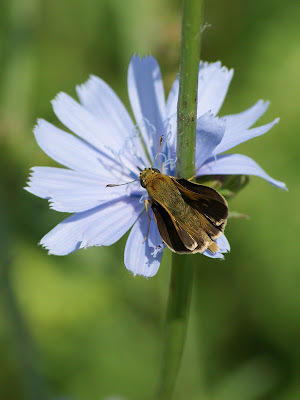 I did a weed last week, but it is not as beautiful as chicory. 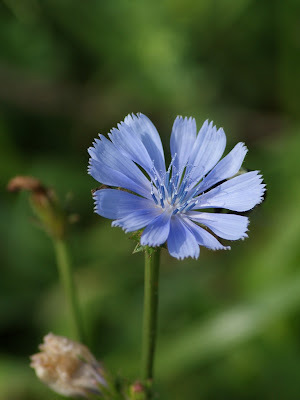 I didin't know Chicory had so beautiful flowers. wonderful, it is a weed is the princess of weeds, great contribution, thank you for sharing so much beauty. Thanks for a very informative post. 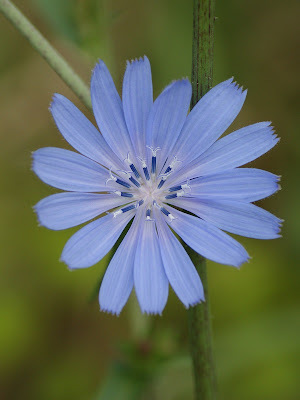 I too never knew what the chicory plant looked like or that it had such magnificent blooms. Wonderful photos and a great post. Others litter is others treasure... I think also it is beautiful!